Attendances at the 2011 Rugby World Cup in New Zealand could be the lowest ever for international fans with Australia's largest rugby tour operator; We Love Rugby today refuting claims from the Hospitality Association of New Zealand's Bruce Robertson that fears surrounding hotel rates during the 2011 Rugby World Cup were an "Australian beat up." Appearing live on TV3 news Mr Robertson said that the examples Australian operators were using were "pretty extreme" but Warren Livingstone Managing Director of We Love Rugby claims it is not an isolated case and New Zealand tourism faces a genuine crisis as fans will decide to stay away. "We have all seen what has happened at the 2010 FIFA World Cup in South Africa where tourists are staying away in droves against a backlash of high hotel and transport prices. We saw it at the 2007 Cricket World Cup in the West Indies as well. If New Zealand think they are immune to the same thing happening then they need a reality check." Livingstone said. "The $1,700 per room per night with a minimum 10 night stay at the Hilton Auckland example is not isolated. We have a list of hotels that have all increased their rates by 400% and some by up to 1,000% from their normal rates." "If you look at the rate for the Hilton Auckland of NZD$1,700 compared to the rate that we were charged at last year's Bledisloe Cup NZD$440 which is a peak travel date, then you must appreciate that rugby fans are starting to seriously consider their options." "It's not isolated - the Hyatt Regency is charging $763 per room per night and we paid $190 per room per night at last year's Bledisloe Cup peak period. Sky City Grand are charging $1050 per room per night when we paid $309 when we used the hotel during the 2008 Bledisloe Cup and the list goes on." "It's not just the Auckland hotels, the Grand Chancellor hotel in Wellington are selling rooms for $859 during the period when Australia play rugby minnows USA. We paid $399 per room per night six months ago during the Bledisloe Cup. The Sofitel in Queenstown is selling rooms for $940 during the semi-final and Final period which is held on the other side of the country in Auckland"
"We are not beating this up. The NZ press came to us asking about it, we simply answered their questions." "We think the RWC2011 Official Accommodation Bank has done an admiral job considering the rates that the hotels are trying to charge but the issue is not the Final and semi-final period, it will be the rest of the tournament. If people cant stay in Auckland for the Final then they are not going to travel to the rest of the tournament for the early stages, certainly at the rates they are charging now. It is just not going to be the cash cow that New Zealand think it is if t remains as status quo." "Australians love New Zealand and we love coming there for rugby as we do every year by the thousands for the Bledisloe Cup. But it won't be at any cost. We have over 4,000 fans pre-registered for 2011 but Australians won't just pay ridiculous prices, we'll just look at other rugby events to travel to like the end of season Spring Tour to Europe." Livingstone said. It is not just Australian fans that are questioning their travel plans. England's largest rugby tour operator Gullivers Sports Travel UK that have been running tours since the first Rugby World Cup in 1987 have confirmed that they have reserved rooms in Sydney during the Finals period and on Queensland's Gold Coast during the semi-final period. "We have rates at a 5 star hotel in Sydney for less than AUD$300 which is a two and a half hour flight from Auckland or we can stay at the Ibis in Hamilton for over NZD$770 per night with a minimum three night stay which will be a two hour trip anyway." 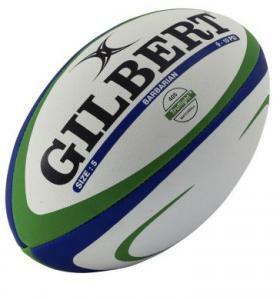 Gullivers Sports Travel UK Chairman and former England rugby player John Hall said. "There's very little accommodation in Auckland to begin with and from what we know accommodation in Auckland during the semi-final and Final has been sold to the RWC2011 Official Hospitality Agents as a priority. So there is none left for the grass roots supporter either independently or on tours. We are an Official Tour Operator and we have a commitment on tickets which was made prior to the accommodation or lack of it being offered, so we had to look at alternatives including Australia." "If grass roots supporters can't be there for the business end of the tournament then New Zealand runs the risk of losing those passengers for the whole tournament. It's not like they are going to travel from the UK for the early pool matches only to leave when the semi-finals start. It's a pretty simple equation really - they just won't travel"
Hall said that Gullivers were exploring chartering the Pacific Dawn cruise ship for the 3,000 pre-registrations that they are currently holding and We Love Rugby are discussing a charter with the Orion Expedition ship to fill the need. Both Warren Livingstone and John Hall called for the government to investigate the hotel gouging before it is too late. "Rugby fans want to travel to New Zealand next year. It is one of the great rugby tour destinations in the world but I think the organisers need to look at a solution. The setting up of an Official Accommodation Bank was a good start but the hotels within that are over-priced. It's not the Accommodation Banks fault, they are managing these over-priced hotels to the best of their ability but that doesn't mean it is a solution. The organisers need to have more accountability for the hotel prices when a deal is done to host these big events. "Livingstone said. "I know it's a free market and hotels need to maximise their profits for share holders but some of the prices are outrageous. If nothing is done then you might be sitting here in 2011 with the same issues that the 2010 FIFA World Cup has with trying to attract fans. Then it will be a massive dent on the proposed economic impact, it will be too late by then and we'll all be saying what if?" Livingstone said.